In Massachusetts, we are fortunate to have a long history of public shade tree protection. Over 100 years ago, the Commonwealth adopted a statute for the protection of public shade trees, now known as Massachusetts General Law Chapter 87. In modern times many Massachusetts towns, with encouragement of the State Department of Conservation and Recreation, have adopted local tree ordinances to tailor Ch. 87 to the goals of their community. At Town Meeting on April 3, 2017, a new bylaw was approved for the protection of public shade trees in Provincetown. The bylaw was drafted by a working group comprised of Richard Waldo, Director of DPW and the Town’s Tree Warden; John Krajovic, member of the Beautification Committee; and Margaret Murphy, founder of Trees Provincetown, a nonprofit that provides tree-related community service in Town. The bylaw was reviewed and endorsed by many Town officials, including the Board of Selectmen, the Beautification Committee, the Conservation Commission, the Town Planner, the Planning Board, and the Recreation Department. What are the key elements of Massachusetts General Law Chapter 87? Chapter 87 defines public shade trees, grants local tree wardens the power and the duty to protect them, establishes standards for planting, pruning and removing them, and provides penalties for violating the law. Trees within or on the boundaries of a public way are defined as public shade trees to which Ch. 87 applies. It also applies to trees planted by the tree warden on private property within 20 feet of a public way with permission from the property owner. Local tree wardens are responsible for the care and protection of public shade trees and for enforcing the provisions of Ch. 87. No person may plant, trim, cut, or remove a public shade tree without the tree warden’s permission. No person, including the tree warden, may cut, trim or remove a public shade tree greater than 1½ inches in diameter without a public hearing. What is the function of the tree bylaw for Provincetown? The bylaw is intended to dovetail Ch. 87, create clear standards for tree preservation in Town, and establish procedures for tree protection. 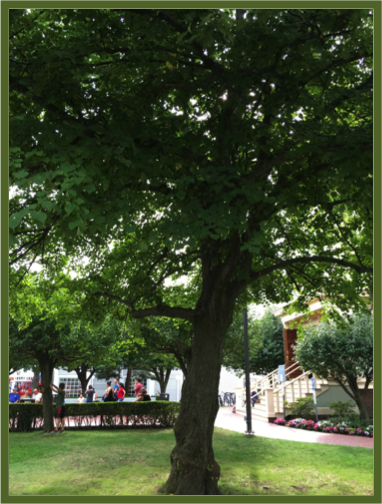 The bylaw applies to “public shade trees,” the subject of Ch. 87, and also to the broader category of “town trees,” defined as any tree in a public park or other place owned, controlled or leased by the Town except trees on conservation lands managed by, or resource areas under the jurisdiction of, the Town’s Conservation Commission. The bylaw does not apply to trees on private property other than public shade trees. Mirroring Ch. 87, the bylaw applies to planting trees in addition to preserving and protecting them. It requires a permit for planting town trees and trees in public ways and for cutting, trimming or removing them. What provisions are tailored to Provincetown’s community goals? The bylaw requires the Tree Warden to implement its provisions by issuing standards for planting, maintenance, pruning and protection of public shade trees and town trees. The bylaw requires coordination between Town regulators and the Tree Warden if any public shade tree or town tree may be impacted by construction, demolition or excavation activities under their jurisdiction. It also requires coordination by the Planning Board with the Tree Warden for projects that require Board Site Plan Review or Special Permit. For public shade trees and town trees, the bylaw prohibits topping or stubbing tree branches, girdling tree trunks, cutting or poisoning tree roots, and pollarding a tree if done by anyone other than a certified arborist. For any public shade tree or town tree that is removed, the bylaw requires replacement plantings subject to the approval of the Tree Warden. What are the limitations of the bylaw? Some communities have passed local ordinances that govern private as well as public trees. Springfield, for example, has a law that applies to all trees over 36 inches in diameter. The bylaw for Provincetown governs trees in the public right-of-way and trees on Town property, but it does not apply to trees on private property that are not public shade trees. The bylaw does not apply to trees already under the jurisdiction of the Conservation Commission. This Fact Sheet was prepared by Trees Provincetown in partnership with the Provincetown Tree Warden.